Guy Martin à Beckett Boyd (1923-1988) known as Guy Boyd, belongs to the distinguished artistic Boyd dynasty that began in 1886 with the marriage of Emma Minnie Boyd à Beckett 1858-1936) and Arthur Merric Boyd Senior 1862-1940. Guy Boyd father William Merric Boyd 1888-1959 and brothers Arthur Boyd and David Boyd . 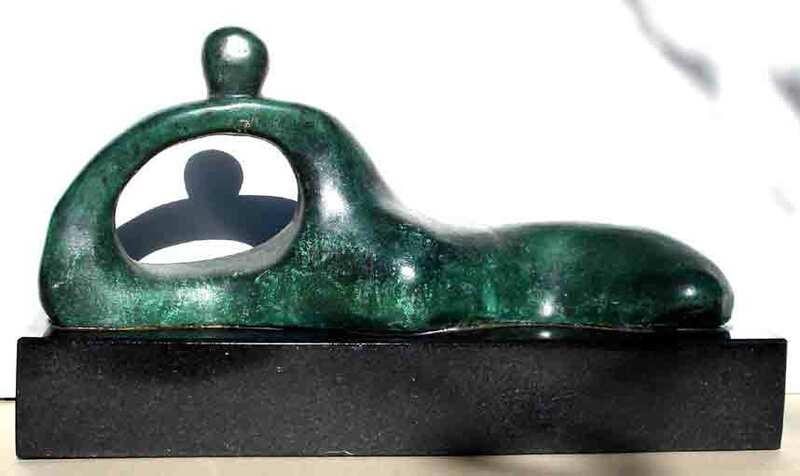 Guy Boyd eldest daughter Lenore Boyd is also a renowned Sculptor. 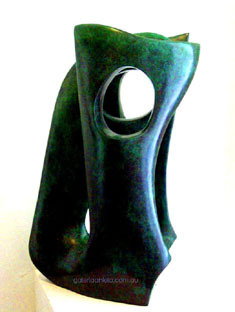 Lenore Boyd is a renown Australian artist, studied sculptural technique in studio of her father Guy Boyd 1923-1888 , who was an Australian sculptor. Lenore began sculpting at an early age. Influenced by family heritage and surrounded by a creative environment, Lenore has deep understanding of the human form and appreciation its beauty. Lenore work has been influenced by classical Master sculptors including Auguste Rodin, Aristide Maillol, Michelangelo, Antoine Bourdelle and Guy Boyd. Stephen Glassborow is one of the most successful and most prominent Australian artists. 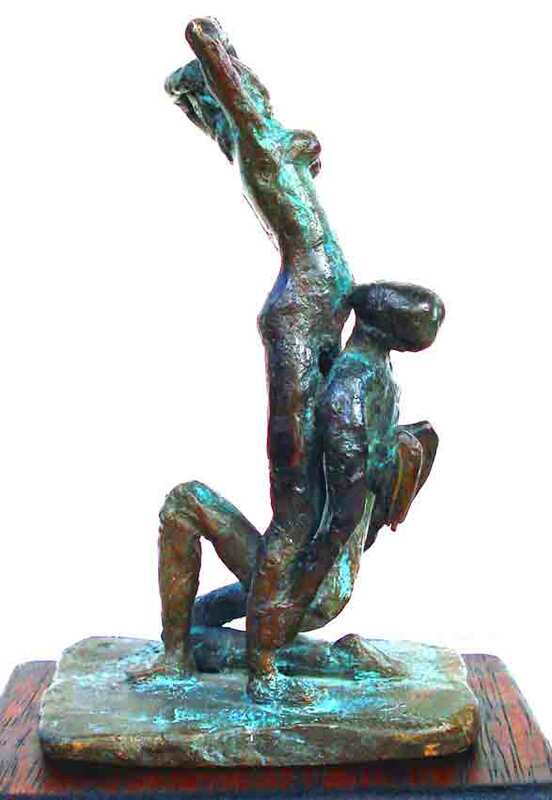 Glassborow specializes in bronze sculptures , exhibiting widely around the world. COLLECTION: Australia, Singapore , Hong Kong, Kuala Lumpur, Korea, China, America and Europe. 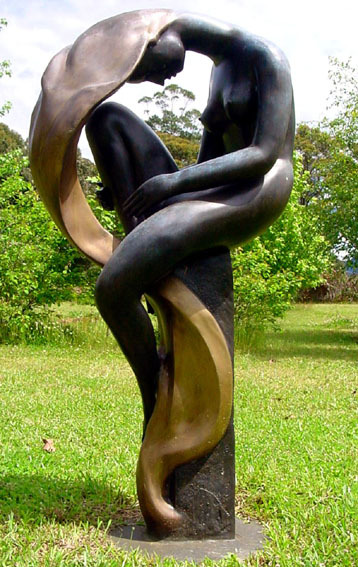 Robin Holliday is an important Australian sculptor with a distinguished career in molecular biology. He proposed a mechanism of DNA-strand exchange that attempted to explain gene-conversion events that occur during meiosis in fungi. That model first proposed in 1964 is now known as the Holliday Junction. COLLECTION : Australia, America, Mexico, England, Ireland, France, Portugal, Spain, Hong Kong, Singapore, Japan and Tasmania. 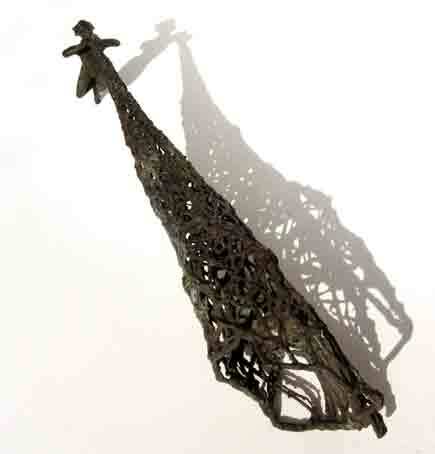 Dóra loves of sculpture, concerns the medium she works in and how it challenges the notion of spontaneity. Dóra attitude to life is energetic, so she tries to instil that motion into the work. I like my sculptures to deny the heaviness of the medium, giving them a feeling of movement and energy, where lines, form and shadows all play an equal part. 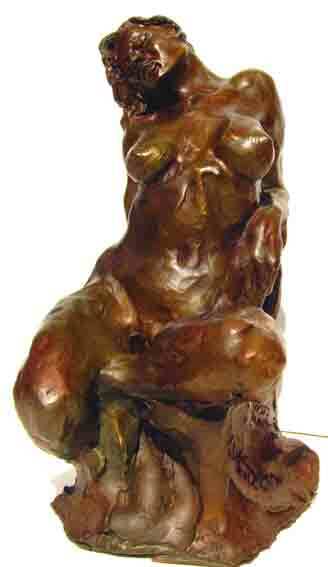 Peter Smith has developed a passion for bronze sculpture to portray a woman in her sensual aspects. h, a qualified doctor of medicine embraced making sculpture. AWARDS: P resident position of Boort Fiesta from its Conception, an annual festival devoted to arts: painting, sculpture, photography, film, music, food and wine. 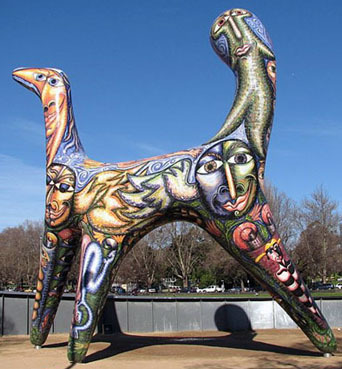 Gaye Spencer work is represented in collections all over Australia and oversees. The Bonheur's were a well known family of painters and sculptors. A highly accomplished sculptor, Isidore-Jules Bonheur started sculpture in 1848 with An African Horseman attacked by a Lion. Isidore bronzes range from domestic cattle and sheep, to wild bears and lions as well as equestrian and hunting groups, all done in natural realistic manner. Antonio De Francisci began sculpting by carving marble. Later in life, Antonio was famous for designing coins and medals of United States. To capture the look he wanted, vigor and vibrancy of the model youth, the artist opened his studio window and let the wind blow through her golden hair . A prolific sculptor, Rodin created thousands of busts and sculptural figures between 1877 and 1917. His first sculpture was a bust of his father in 1860. Rodin made also bust of prominent contemporaries such as George Wyndham, George Bernard Shaw, Gustav Mahler, Domingo Faustino Sarmiento and Georges Clemenceau. Facsimile from Latin fac simile (make alike) is a reproduction of a unique item. A Facsimile is a reproduction of an item of historical value, it can be a bronze or other item like a art print, book, manuscript or map. 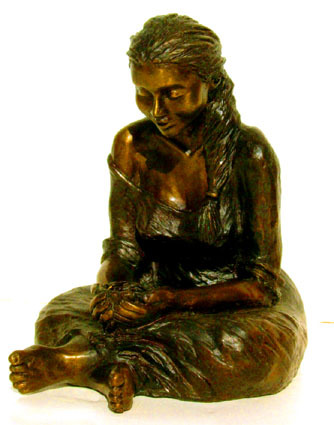 Bronzes are produces by casting using the "lost-wax" process. The earliest “lost-wax” castings date almost 7,000 years. A wax mold must be made from the "original form" that often is made in clay or plaster. Surface replication of the "original form" can be achieved with a polyurethane mold compound or a high-quality silicon rubber. The rubber mixture is applied (several coats) directly to the surface of the "original form". A mold most generally consists of three to five coats of rubber (applied over the course of several days). Once the final coat of rubber has dried, a firm outer "jacket" is made to retain the shape of the flexible rubber mold for pouring the wax replica. This “jacket” is usually made out of plaster, Hydrocal, resin, or epoxy, and is called the “mother mold”. Then the "jacket" is removed, and the rubber is cut away from the “original form”, what is called a parting line (simply the division line for the mold). 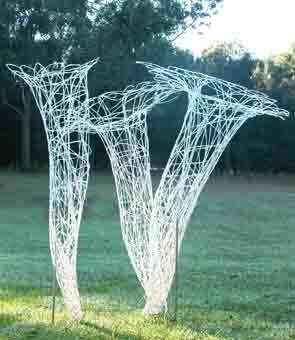 The sculpture has now gone from a positive form to a negative form. If the sculpture is large or complex, it will be divided into smaller pieces, and each piece will require an individual mold. The pieces will be rejoined later, after the sculpture is cast in bronze, to make the complete sculpture whole again. With the “mother mold” complete, positive forms can now be generated by pouring a wax replica. Pouring a wax is usually done in four stages or coats. The first coat is applied by heating the wax to a temperature of approximately 220 degrees Fahrenheit. While the wax is quite hot, the mold is rotated about, in an attempt to coat the entire internal surface of the mold with the melted liquid wax, which is poured into the “mother mold” through a hole. The second coat of wax is applied slightly cooler, at around 200 degrees. The final two coats go on at approximately 180 to 185 degrees. A completed wax is approximately 1/4” thick, or just slightly thinner. When the wax cools and the mold is removed, a wax positive of the sculpture emerges. Follow by procedure of repairing all of the imperfections that were created during the pouring process of the wax to maintain the original details within the mold. 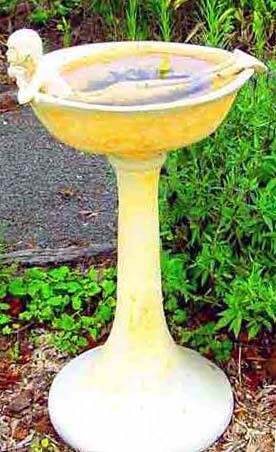 The finished wax is a positive replica of the "original form". The ceramic shell process requires a series of dipping the wax positive into a mixture called slurry to create a hard shell. When the ceramic shell is complete, it is placed in a high pressure sealed oven, known as an autoclave. High temperatures (1500 to 1800 degrees Fahrenheit) and pressure force the wax from the shell and the wax melts out, thus becoming "lost". This is where the name “Lost-Wax Process” has been derived. When the ceramic shell is empty of wax, it is then re-fired and made ready to have the molten bronze poured into it. Solid blocks of bronze, meanwhile, are heated to a temperature of approximately 2250 degrees Fahrenheit so that liquid bronze is created. The liquid bronze is stirred and prepared for the pour. Bronze is an alloy of 95% copper, 4% silicon and 1% manganese with traces of other elements such as iron. When the molten bronze is ready, the foundry workers very carefully lift the crucible, containing the liquid bronze, out of its heating furnace. The workers must wear protective face shields, clothing, gloves, and boots. Moving quickly and precisely, the foundry workers pour the liquid bronze into each awaiting ceramic shell. When the ceramic shells are full with the poured bronze, they are then left to cool for several hours. The negative spaces within the ceramic shells have now become positive bronze castings. Once the bronze and ceramic shell has cooled, the ceramic shell is broken off to separate the metal bronze from the shell. This is done with hammers, tools, power tools, and sand blasters. Then the process of finishing begins making the metal back to the appearance of the original. This process usually involves a fair amount of welding with a high frequency welder. When the final piece is all welded together and chased to perfection, the bronze is next sand-blasted (or bead-blasted) to make it very smooth and shiny. Using a sand-blast cabinet is the most convenient way to sand-blast a sculpture. After the sculpture is sand-blasted, the Patinazation is the next stage. 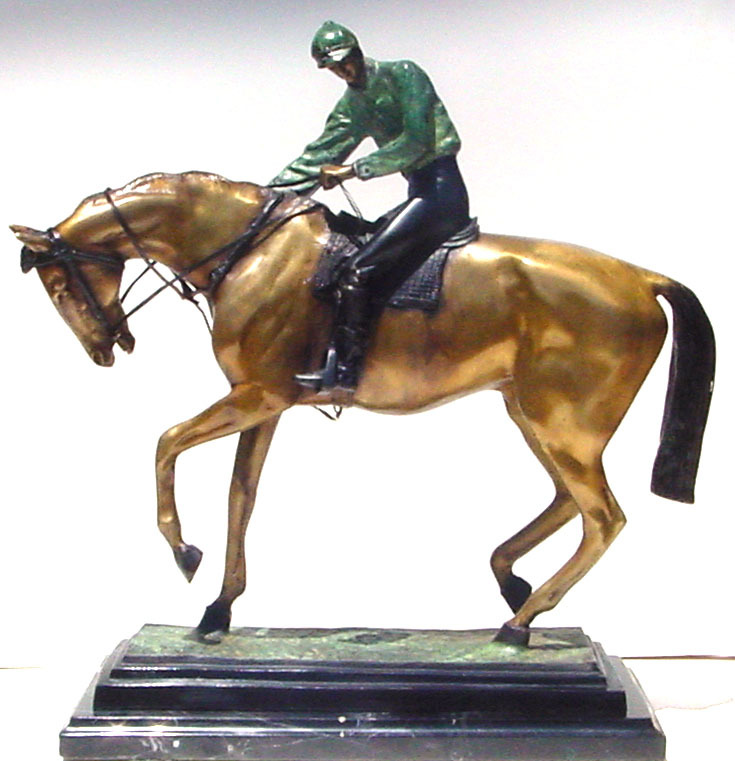 The "patina" is the color of the bronze. 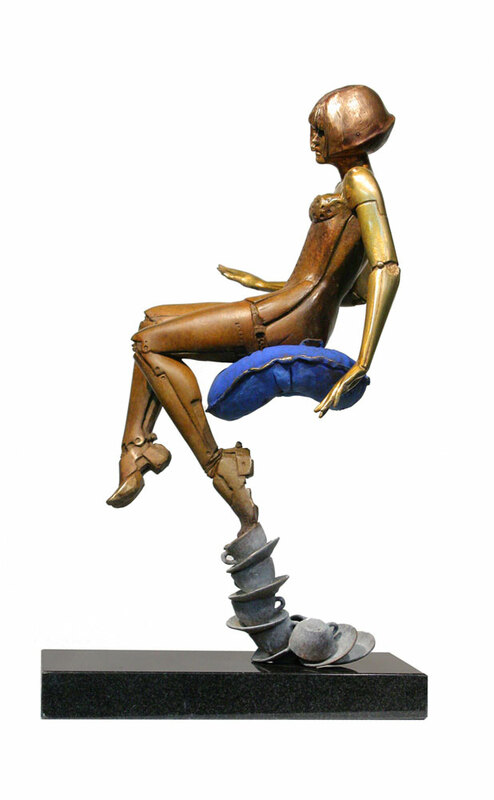 The 'patina' colorization of a sculpture: The patina “colorization” is made in the foundry by applying chemicals. "Patinazation" the process of chemical reaction between bronze, acidic chemicals, and high temperatures oxidize the surface of the metals. Certain chemicals will produce certain predictable colors when they are sprayed on the bronze and then heated up. The patina process begins by heating the surface of the bronze to a temperature of approximately 450 to 475 degrees Fahrenheit. 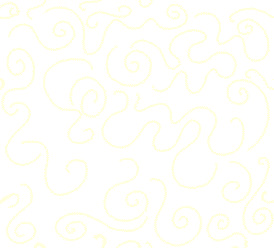 The surface will have a nice golden appearance when it is ready. A wide variety of techniques can then be used for chemical application, the most common being done with natural bristle brushes. Chemicals can also be applied with spatter guns, spray bottles, and airbrushes. The outdoor atmosphere is more corrosive to a patina as it carries a higher content of manmade pollutants, and metal protectant is recommended for any sculptures placed outdoors. 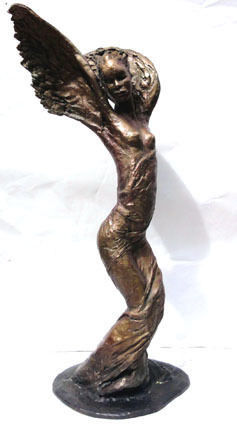 After the completion of all of the above steps, a unique bronze sculpture will have been produced and can now be sold. Bronze Facsimiles ought to be enjoyed just for what it is, a beautiful bronze object giving as much joy as the historical Bronze for a fraction of the price. Facsimiles differ from the original, although The attempts are made to replicate the source accurately in terms of scale, color and other material qualities . When Facsimiles are produced ? Facsimiles are produced after a famous artist passed away. Because the artist have passed away, thus the artist's Signature is made in plate. Facsimiles are produced to generate income to supplement the cash flow of the artists' Museum or Trusts and to continue promoting the artist . Facsimiles are also produced for educational purposes by scholars to research and by museums and archives for media preservation and conservation . Most Facsimiles are sold commercially and occasionally may be produced in limited editions , sometimes accompanied by a commentary , typically 2,000 copies but for some artists like Dali it would be even much higher number . When limited editions are done? Limited editions are produced by the artist , intentionally made to differ from the original. A limited edition is hand signed and numbered by the artist . Bronze was discovered in the Bronze Age (thousands of years ago). In the art world, bronze is known as a metal alloy used in statues. It implies prestige, and timelessness that is not found in other metals. The process of making bronze combines copper and tin is undertaken in a foundry where the two alloys are combined under great heat. 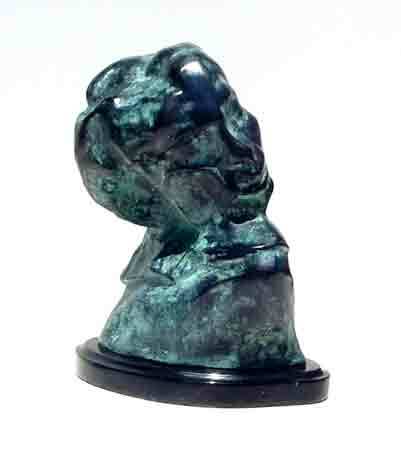 Molten bronze can then be poured into a mould and shaped to any design. Once the mould is broken and the bronze allowed cooling, a perfect facsimile of the object is left behind. 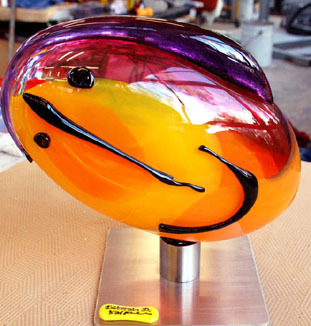 Additional polishing or burnishing to remove any imperfections is undertaken and the piece is then ready for display. The demand for bronze has made it a rather expensive material especially given its weight. Anyone who has ever picked up even a small statue made from bronze has marveled at how heavy it is. 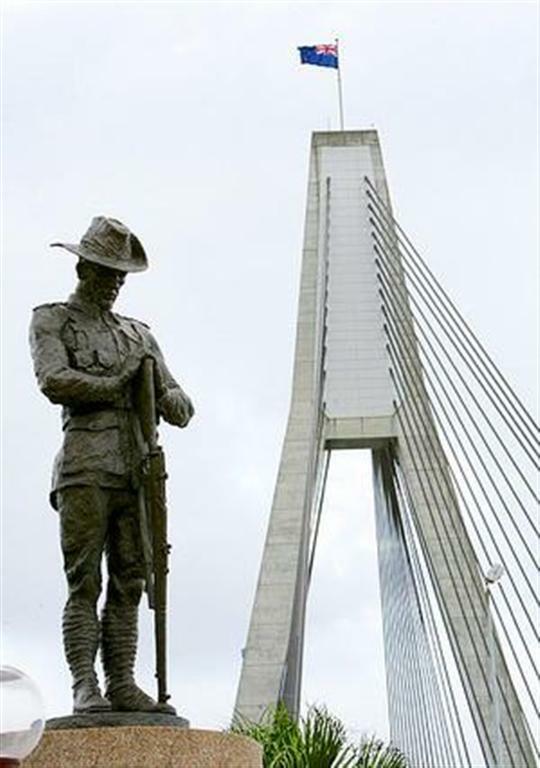 As such, shipping, handling and installation of bronze statues and plaques must be undertaken with great care often accompanied by great expense.